You can’t go to Berlin and not visit Checkpoint Charlie, no matter how much of a tourist trap you may think it is. After all, as the entrance to the American sector of West Berlin, it has a major role in history. It was dusk when I arrived at Friedrichstrasse, still down in the dumps from having seen only couples and families walking around in Museum Island earlier that day (Read: Loneliness of the Long-Term Solo Traveler). I suppose I should have appreciated it more; going past Checkpoint Charlie had represented freedom for a lot of people behind The Wall. However, all I saw was just a lot of tourists posing by the “guards” at the hut at the border between East and West Berlin. They were probably staying in one of the nice Berlin hotels, and didn’t mind that the guards charged them 2 euros for each photo they’d taken. I didn’t bother to have my picture taken; not only did I think it was a waste of money, I also didn’t feel like it. Of course that was already a copy. Everything there was just a copy. 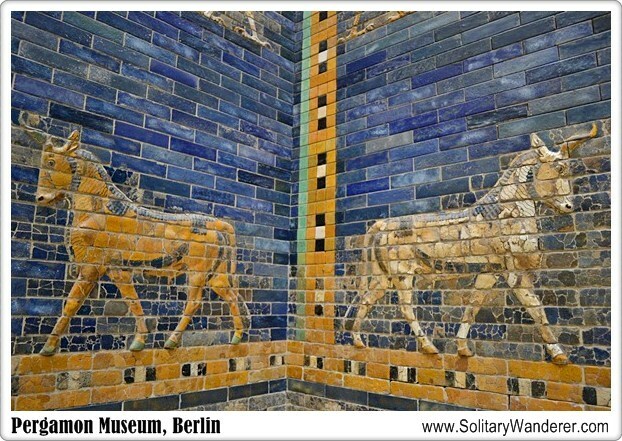 If you want to see the original, for whatever reason, you can go to the Museum nearby (Admission: €12.50). After a few minutes of just walking around, I dropped by McDonald’s, wanting to buy a caramel sundae, my comfort food whenever I would get depressed. I never had to, though, as when I passed by a table, I overheard Filipinos talking in our language. It served as an instant mood-lifter for me! I didn’t even have to approach them and talk to them. Merely hearing my country’s language already improved my mood. I left Checkpoint Charlie much happier than when I arrived there. It was ironic that it was in McDonald’s–where an 18-year-old East German was killed by border guards in 1960s–that I found what I needed to enjoy the rest of my stay in Berlin. 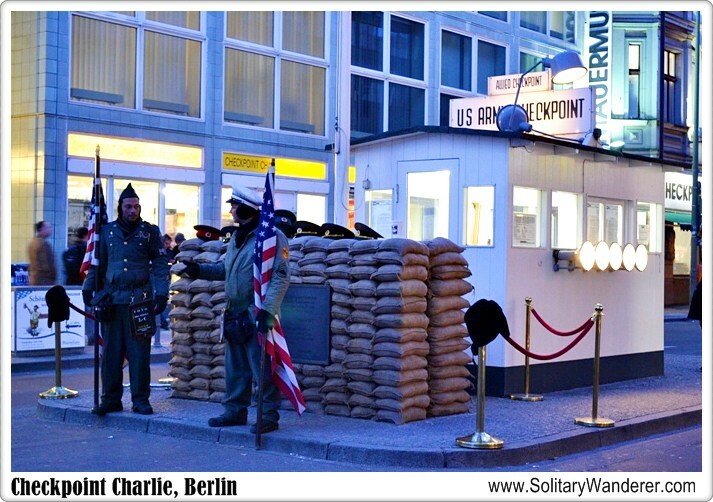 Have you been to Checkpoint Charlie? What did you think of it? Berlin is a great city. Great post for travel lovers. 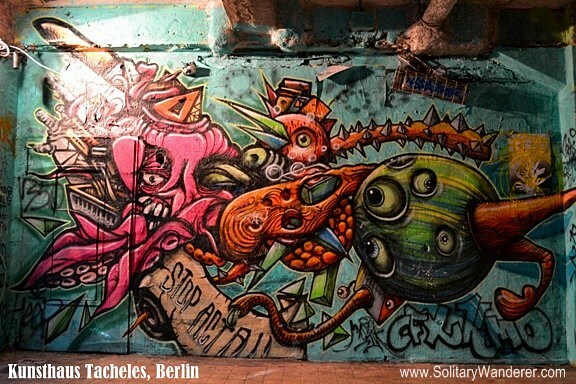 There is plenty of art to check out along the Berlin wall. We couldn’t help but visit it when we took the free walking tour together back on our first every holiday as a couple back in 2010. I don’t think that it’ll ever not be a tourist trap so I wouldn’t advise going there for more than a quick visit, probably on a tour. It’s one of those things that if you really must tick it off, do; if not, just walk past it if you’ve the time. I wish I’d known about the free walking tour then. I just went out on my own, which could explain why I felt so down in the dumps. Yeah, there’s nothing much there if you’re not a history buff, but it’s still something every visitor should see and appreciate. Being German I first visited Checkpoint Charlie in 2002 and did not perceive it as that touristy at that time – I rather thought it was quite inconspicuous. 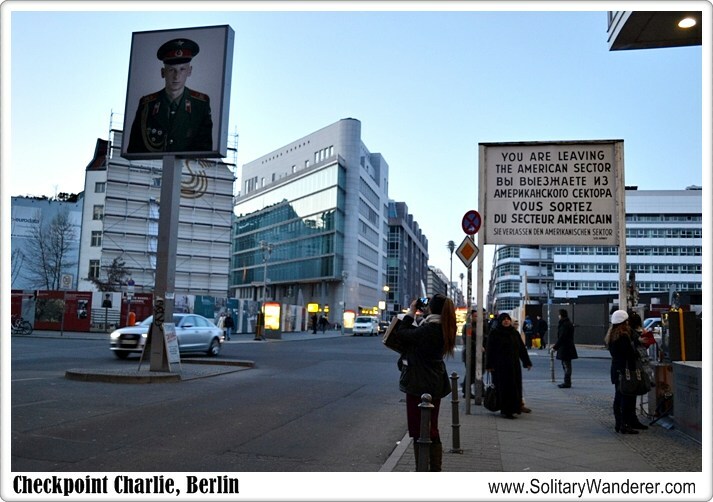 My last visit to Berlin was last year and I did not go to Checkpoint Charlie but noticed quite a few of those tourist traps with guards in the city. I disagree in one point: I think there is still (and unfortunately) a difference between the East and the West. You will find it in Berlin und you might notice it even more if you consider Germany as a whole. That is probably why Berlin and the Checkpoint Charlie touch me every time: because being reunited it is such a great achievement for us, because we sometimes need to be reminded of that and because it is surprising to me, how long it actually takes to overcome physical borders and history. Thanks, Aleah, for you always inspiring stories and experiences, much appreciated! Hi Anika. You’re right, of course. As someone who’s been in Berlin only for a few days, I can’t rightly say there’s no difference anymore. Even my host in Dolzigerstrasse always told me not to stay out late in the Eastern part as it’s dangerous. IMHO many so-called tourist traps are worth visiting as long as you don’t fall for the obvious. I’m glad you were able to cheer up! Better than Checkpoint Charlie (which, I think is all a copy – not just the sign) is the Allied Museum in Berlin which not only has original relics of the period, but well-designed exhibits that really put Checkpoint Charlie and all the rest into perspective. It’s a fascinating place. Never been to the Allied Museum yet. Yeah, I think everything in Checkpoint Charlie is a copy, just a representation of what it used to be. Then again, a lot of historical sites are, to preserve the original. I’ve been to Check point Charlie 3 times, the first time in 1998. I’ve never been able to go through everything, there is just so much to digest. But every time I’ve been moved by the stories I’ve read that time. Definitively a museum to visit! Too bad I didn’t get to visit the museum. Maybe next time I’m in Berlin. There’s just too many places to check out there. 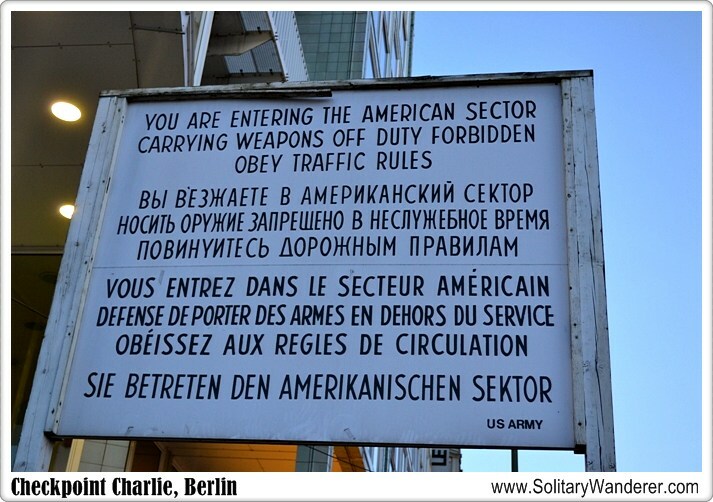 I was at Checkpoint Charlie in 2007. It was then a tourist trap. 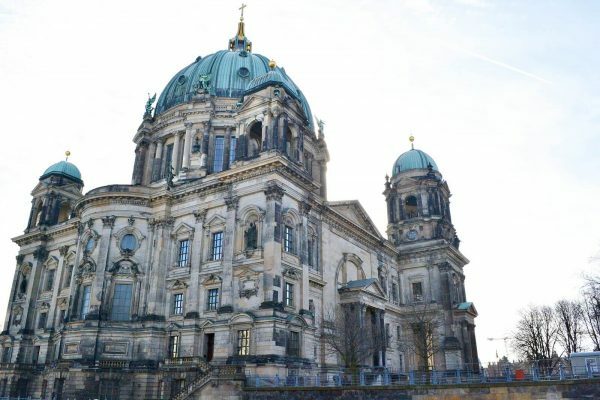 However, you have to visit in order to get a sense of the modern history of Berlin. I visited in 2012, and it was still a tourist trap. I agree it must be included in one’s itinerary though, if only to appreciate how far the country has gone since The Wall came down. I was able to go through Checkpoint Charlie with a group of tourists with an East Berliner guide when Berlin was still a divided city. The difference between the two sectors was like night and day then. My last visit was a few years ago when the country was already unified and except for Checkpoint Charlie there’s not much to remind one that the city and the country was once divided. Good for Germany! I went there 2 years ago, Tito Bert, and there really wasn’t any difference between the unified East and West. I would have loved to have visited it when it was still divided, if only to see how big the difference is now.